The dozens of self-portraits by Vincent van Gogh were an important part of his oeuvre as a painter. Vincent van Gogh created many self-portraits during his lifetime. 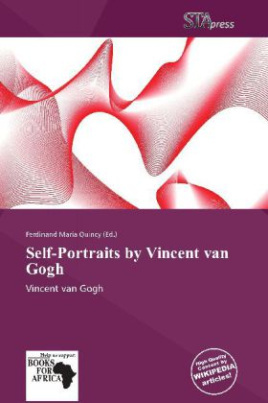 Most probably, Van Gogh's self portraits are depicting the face as it appeared in the mirror he used to reproduce his face, i.e. his right side in the image is in reality the left side of his face. Vincent Willem van Gogh was a Dutch post-Impressionist painter whose work, notable for its rough beauty, emotional honesty, and bold color, had a far-reaching influence on 20th-century art. After years of painful anxiety and frequent bouts of mental illness, he died at the age of 37 from a self-inflicted gunshot wound. His work was then known to only a handful of people and appreciated by fewer still.